Any sunny day is a good day to hit the golf course, and the weather always cooperates in Los Angeles. 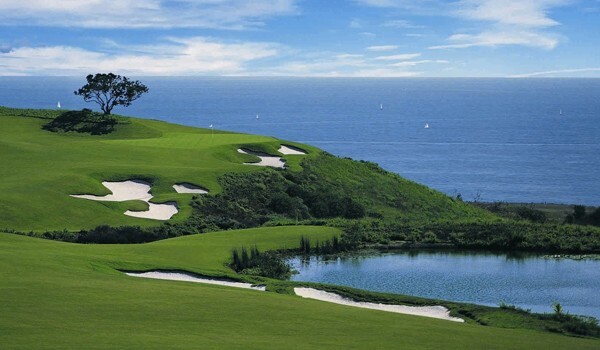 How do the southern California courses compare to those around and across ? You'll have to try them all and let us know. 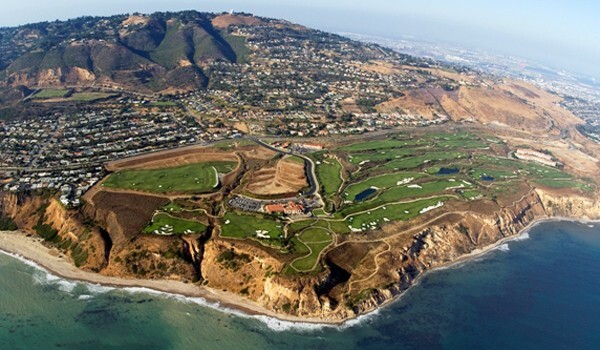 The Lowdown: A championship course that's a favorite of many pros and Hollywood stars from Humphrey Bogart and Walt Disney to Adam Sandler and Luke Wilson. The Riviera could be known as "Hogan's Alley" — it's a beloved, classic gem, and not much has changed since the first tee-off in 1927. 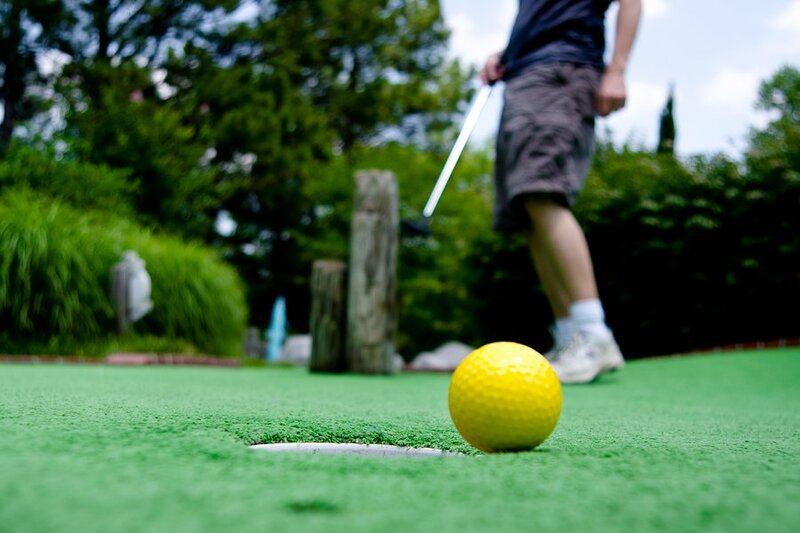 Caddie Tip: It's a private course, and getting in could prove difficult. Even Mark Wahlberg had to pull strings. The Lowdown: Who better to give you the ultimate golf experience with jaw-dropping amenities than Mr. Over-the-Top himself, Donald Trump? It's also the setting of one of the more hysterical Entourage episodes, the one with a Phil Mickelson cameo. Caddie Tip: The 15th hole may be the shortest, but it's also the most deceptive as the green is the smallest on the course and is entirely encircled by sand. The Lowdown: What can be said about the LACC? Not much — and that appeals to members who have been coming to the private club in the heart of the city since 1897. LACC is serious about who it opens its doors to and has been known to shun Hollywood types. Caddie Tip: The 2nd hole on the North Course is a killer par-4 that is nearly 500 yards from the tips. The Lowdown: When Condé Nast is on your side, the world pays attention. A favorite of the Vogue set, the 54+ holes were designed by the famous Tom Fazio. Caddie Tip: Everyone talks about the 13th hole, which has two greens. The Lowdown: A private club dating back to 1927, the traditional Max Behr-designed course attracts serious Hollywood golfers, has a strong industry presence, and once counted Sinatra as a member. Famous Members: Justin Timberlake, Jack Nicholson, Ray Romano, Joe Pesci. Caddie Tip: The 8th is a long par-4 that gives even advanced players a headache. The Lowdown: Be prepared to play your hardest at the Pete Dye favorite: The Sky Course is consistently named one of the most challenging courses in the US. And bring a camera. It's also a visually stunning course. Caddie Tip: The tricky 12th, better known as The Devil's Slide, demands precision. The first shot from the tee should avoid the bunkers on the right side of the fairway. The Lowdown: Just minutes from LA proper, it's a favorite of celebs like Will Ferrell and Don Cheadle. Cameras and cell phones are kept to a minimum. No one likes paparazzi on a golf course. Caddie Tip: The 2nd, the longest hole on the course, can be shortened if you can cut off the dogleg by carrying the fairway bunker guarding the right side of the landing area. Daria is an editor in New York City. She travels for the opportunity to eat as many different versions of cheesecake as possible. В интеренете нашел классный веб сайт со статьями про https://steroid-pharm.com.